With the QX30, upcoming QX50, QX70, and full-size QX80, Infiniti certainly has an extensive lineup of luxury sport utility vehicles to offer its customers. 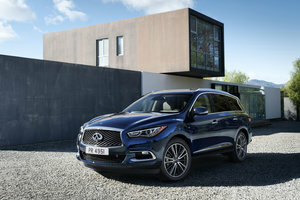 The most popular of them all is the 2017 Infiniti QX60, Infiniti’s 7-passenger premium sport utility vehicle that was slightly redesigned last year and that offers room for the whole family to go along with plenty of safety and connectivity technology. And the best part is, the 2017 Infiniti QX60 is relatively affordable when compared to other high-end three-row luxury SUVs. Starting at $47,890 $, the 2017 Infiniti QX60 comes packed with a host of features designed to make you and are your family safer, and more comfortable on long trips. 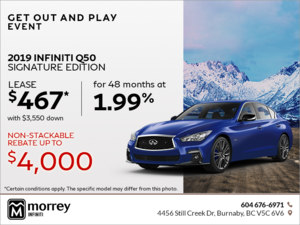 Standard equipment includes heated front seats and steering wheel, a power rear tailgate, Infiniti Intelligent Key with push-button start, 18-inch wheels, Bluetooth hands-free calling, a sunroof, leather seats, a rear-view camera, cruise control, two 8-inch center display screens, SiriusXM satellite radio, and tri-zone automatic climate controls that ensure everyone is comfortable inside the 2017 Infiniti QX60. Available features include a host of active safety equipment starting with Backup Collision Intervention (BCI), an exclusive feature that will automatically apply the brakes if you are backing up and fail to react to an oncoming vehicle or object that you may not have seen. 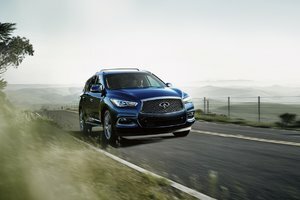 The 2017 Infiniti QX60 is also available with Intelligent Cruise Control, Blind Spot Warning, Distance Control Assist, Active Trace Control designed to improve cornering feel using the brakes and engine torque, and auto side dimming mirrors. These features are packaged together with the Eco Pedal function that makes it easier to improve fuel economy in the Driver Assistance Package available on the 2017 Infiniti QX60 for only $2,400. A Bose 13-speaker system along with remote engine start are just a few other options available on the 2017 Infiniti QX60. Only one engine is offered in the 2017 Infiniti QX60, but it offers all the power, torque, and efficiency you could ever need. Indeed, the 2017 QX60 is powered by a 3.5-liter V6 engine that delivers 295 horsepower and 270 lb.-ft. of torque at 4,800 rpm. That’s enough power to tow up to 5,000 pounds with the new QX60. 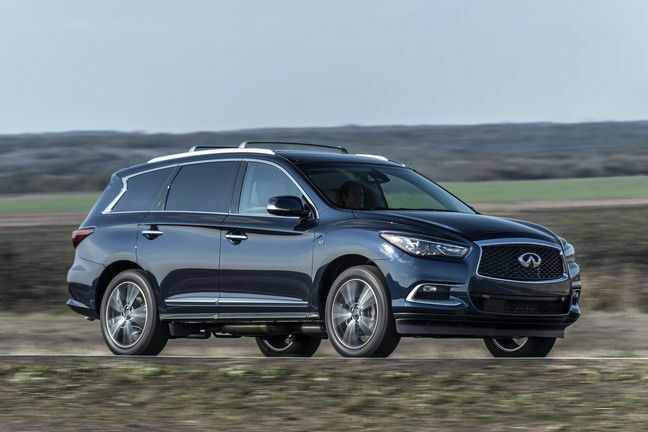 Drivers can also adjust how the QX60 behaves using Infiniti’s drive mode selector which can make the QX60 more dynamic, more comfortable, or more fuel-efficient depending on your needs. All-wheel drive is standard. Inside, the 2017 Infiniti QX60 offers seating for seven passengers, and a useful 447 liters of cargo space with all seats in place. Lower the third row, and you get more than 1,000 liters of cargo capacity. 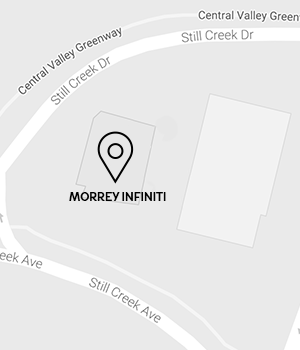 To learn more about the 2017 Infiniti QX60, contact us today Morrey Infiniti of Vancouver!